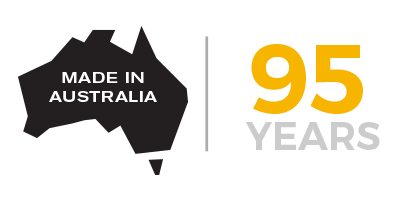 KITO PWB is an Australian based bespoke manufacturer, supplier and engineer of high performance, premium quality chains, fittings, electric and manual chain hoists. We cover a breadth of industries including lifting, construction, infrastructure, manufacturing, mining, food and beverage, marine, aquaculture, transport, agriculture and entertainment to name but a few. We understand that the most effective lifting solutions are those which are custom made to your individual project requirements. We will engineer a lifting solution that meets your particular project specifications and requirements. We will provide you with the correct product mix of chains, fittings and hoists tailored to your needs. Products will either be manufactured by KITO PWB to meet your specifications, or selected from a range of proven and quality global supplier network. You will benefit from our combined 200+ years of lifting and manufacturing knowledge and experience gained through applications across many industries. Our range of lifting products, chains, hoists and fittings, are of exceptional quality, manufactured to conform to Australian and global standards. Our Head Office and manufacturing facility is located in Bundoora, Victoria, Australia. We also have regional sales offices and warehouses in St Marys, New South Wales, Richlands, Queensland and Canning Vale, Western Australia. As well as an extensive network of accredited distributors throughout Australia, we also have approved distributors in New Zealand, Indonesia, Fiji, New Caledonia, Singapore, Malaysia, Vietnam, Hong Kong and Sth Korea.